These unique comprehensive comedy classes are a fast track to the world of comedy clubs, film, TV, acting, and writing. It is the only comedy program of its kind in the world. 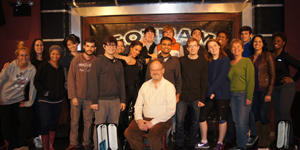 In these standup comedy classes concluded by Stephen Rosenfield, you will learn how to write and perform standup comedy. You will perform at Gotham Comedy Club and other clubs throughout New York City. Train as a theater improv group and learn to create comedy without a script. Through structured exercises you develop your spontaneity, free up your creativity, and sharpen your wit. As part of the course work you perform improv shows that consist of improv games, comedy scenes, and songs. Learn how to write and perform Saturday Night Live-style sketch comedy. You will work together as a sketch team and become a writing and performing ensemble, producing sketches and a show. Co-taught by Emmy Award winning former writer for the Late Show with David Letterman, Ted Greenberg, these late night talk show classes deconstruct the late night talk show into its constituent writing parts. These classes become a writer’s room by creating a late night talk show that is produced, performed and taped by the class in front of a live audience. This comedy writing class examines the language, structures, and process of developing comedy material from concept to final draft, for the internet. Similar to television writing and producing, it focuses on how to pitch story ideas, how to write and rewrite a script, how to use an audience’s response to edit and punch up material, and how to write as part of a team. In addition, it allows you to gain experience in producing, directing, filming, editing, and pitching your web series. 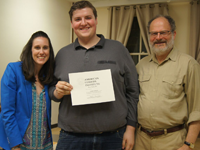 These acting classes provide students with a solid foundation in acting technique. Students learn how to create believable and exciting emotion, behavior, and characters for television, movies, and the stage. Acting experience is invaluable to a comedian and this class will allow you to gain helpful training for your comedy and acting career. In these on-camera classes you work with the actual scripts used for film and TV auditions. You learn how to analyze these scripts in ways that lead to strong, memorable acting choices. You learn on-camera techniques that ensure that your audition has impact when viewed on video. Further, you learn how to respond to direction, so that you give casting directors the performance they are looking for during an audition. These on camera classes teach students how to use their sense of humor to book commercials. It is taught by the head of the commercial department of a major bi-coastal talent agency (The Screen Actors Guild prohibits printing his name). 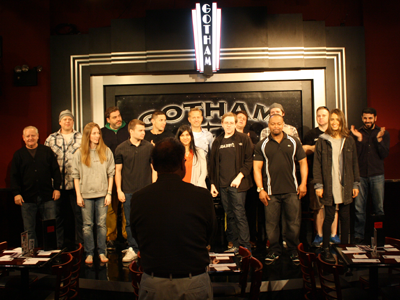 The One Year Program in Comedy Performing and Writing culminates in an Industry Showcases at Gotham Comedy Club, where students perform their standup. Casting directors from CBS, ABC, NBC, HBO, MTV, Paramount, and Nickelodeon, along with leading agents, managers, and bookers have seen the work of The One Year Program’s graduating students.